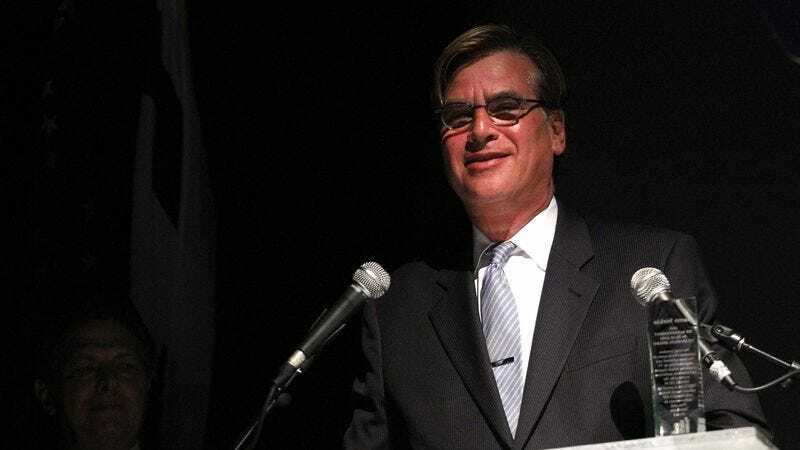 Although he’s served as a showrunner, executive producer, and writer for any number of shows and movies—from Sports Night and A Few Good Men all the way up to HBO’s recently concluded The Newsroom—Aaron Sorkin somewhat surprisingly doesn’t have a single director’s credit to his name. At least, he didn’t until today, when The Hollywood Reporter broke the news that the latest plucky director to take on Sorkin’s motormouth dialogue and heavily stage-directed scripts (complete, we assume, with a keyboard macro to insert “while striding purposefully down a corridor” into every other sentence) will be first-time director Aaron Sorkin. Sorkin will be helming the poker drama Molly’s Game, a true-crime gambling story that he was attached to as a writer back in 2014. We can only hope that writer-Sorkin’s recent Hollywood successes—including collaborations with big-name directors like David Fincher and Danny Boyle—hasn’t soured him on working with a behind-the-camera neophyte like himself, and that he’ll treat his new partner’s contributions with the same warm regard he’s always treated Aaron Sorkin’s thoughts and opinions with in the past.